There are exhibitions, rest and information corners, local specialty and souvenir corners, as well as restaurants and lots of information useful for sightseeing is offered. 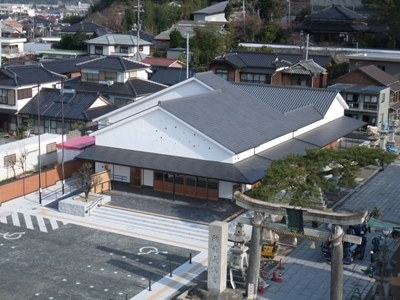 Hofu Tenmangu, Sokokubun Temple and the Mori museum are close and you can visit several places by foot from here. Feel free to use it as a point of departure for sightseeing or a rest area on your way.